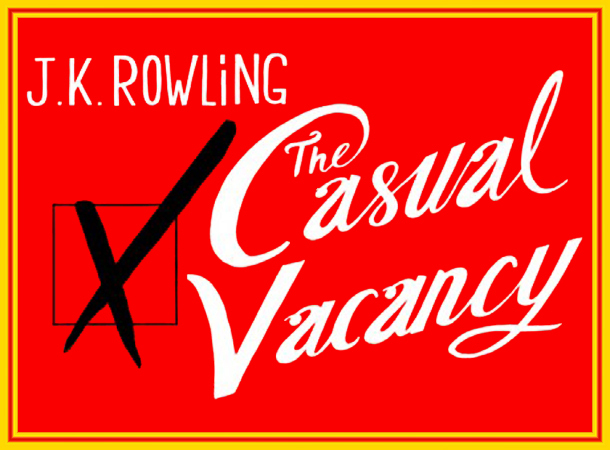 Despite disappointing the Vatican, JK Rowling's The Casual Vacancy still attracts meager amount of readers and other artistic deals. In fact, the controversial novel has taken another step forward when it was announced that it's to be made into a BBC miniseries. Rowling has closed an exclusive adaptation deal with BBC One and BBC Drama. The said miniseries will be produced by Rick Senat and by the independent production company by Neil Blair, who is JK Rowling's agent. Much like with Harry Potter movie adaptations, Rowling will "collaborate closely" with the project. No further details have been given yet regarding the number and length of episodes, but it is scheduled for a 2014 airing. As to what JK Rowling felt about this new progress, she said, "I always felt that, if it were to be adapted, this novel was best suited to television and I think the BBC is the perfect home." Who do you think is fit to play the various characters in the novel? And who is your best candidate to direct the series? JK Rowling is really a brilliant writer. Nice post!